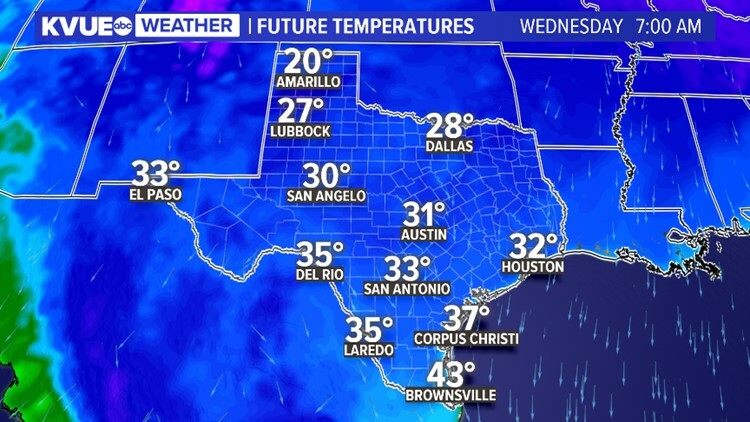 Upper 20s and low 30s are expected Wednesday morning. 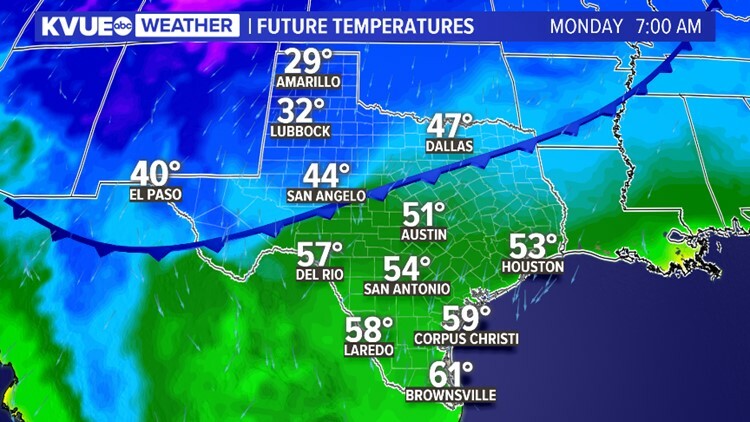 CENTRAL TEXAS — Our next big change maker enters the Lone Star state early Monday morning, especially in the panhandle where upper 20s and lower 30s spread across the region. By 7 a.m., it's still a mild but cool start to the work week for Central Texans. Throughout the day, many areas will notice a slight but steady increase in wind speeds but a cool down in daytime highs north to south. By late afternoon, most of the area will be in the mid to lower 40s with wind gusts upwards of 15 to 25 mph. 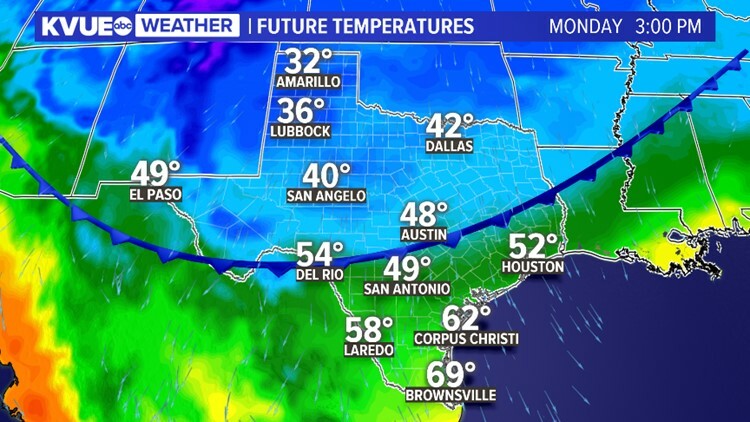 This is when the strongest cold front of the season will bring the coldest temperatures this area has seen since February, along with scattered showers. Surface temperatures near bedtime will only be in the 40s Monday night under partly cloudy to mostly clear sky by Tuesday morning. 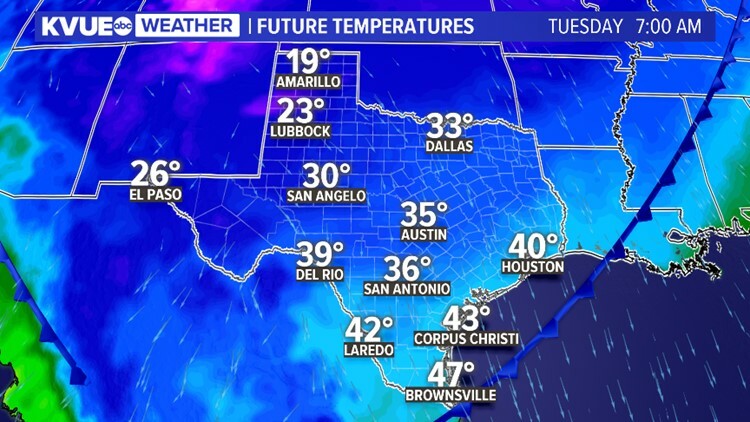 Early forecast projections show that early morning temperatures Tuesday will be in the 30s, including a light freeze for parts of the Hill Country. Behind that, an even colder night set for Tuesday night into Wednesday morning with lows in the upper 20s and low 30s across the area. 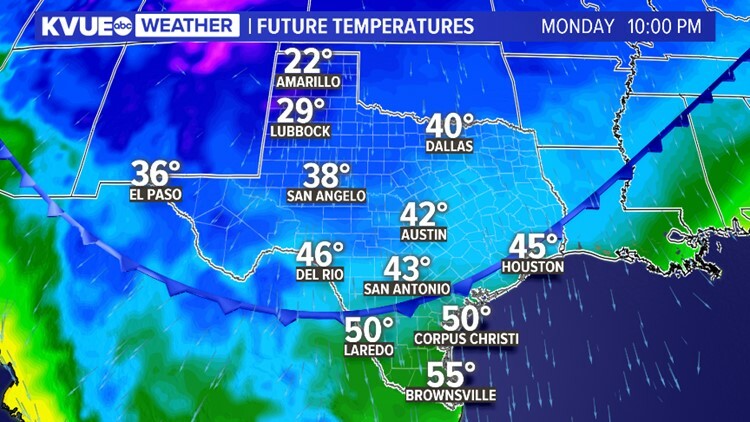 An area-wide freeze is expected by sunrise Wednesday. The first freeze in the Hill Country, west of the Austin metro, typically arrives in mid-November. So, this week would be right on track with what the calendar says. 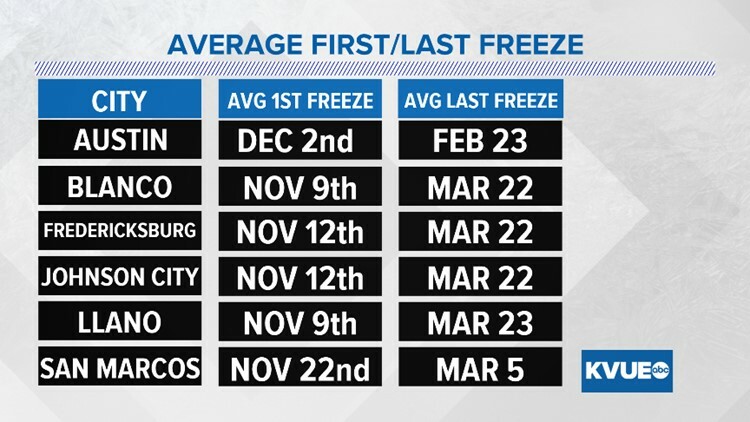 For the city of Austin, the first freeze typically arrives in early December, so next week's freeze will be two to three weeks earlier than average. Stay with KVUE for the latest weather updates.